Anyone who wants to understand why the dollar is the only game in town, all they need do is look at the politics in Europe. It is just absurd. In Britain, Prime Minister Theresa May simply REFUSES to abandon her BREXIT plan no matter how many times Parliament votes against it. She survived a no-confidence vote last year so nobody can oust here until December and she refuses to resign. She has made a real disgrace of how Parliamentary politics operates. PM May will now ask the EU for another extension to the BREXIT deadline of April 12th to “break the logjam” in Parliament. She is now turning to meet with Labour leader Jeremy Corbyn, who is the closest thing to a communist in the West, to join with the extreme left in hopes of saving her plan. May has insisted that her withdrawal agreement would remain part of the deal. 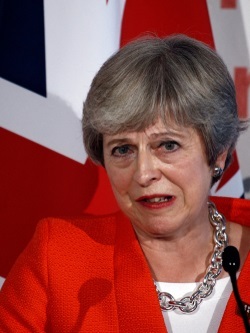 In all my years of politics, I have never seen such absolute stubbornness on the part of any world leader to the point that she will alienate her own party. There is no question that this will outrage Tory Brexiteers. 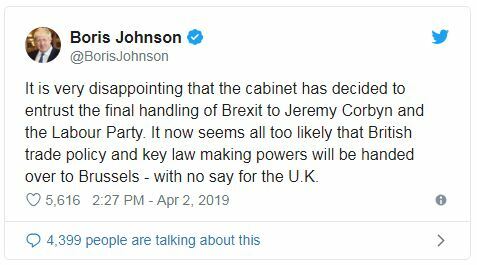 Boris Johnson has come out beside himself saying that now Labour will decide the fate of Britain. Under the terms of hard borders and remaining in the customs union, Britain under May has rejected the democratic process entirely. She is tieing the fate of Britain to that of the EU, which in an of itself is in dire straights. If we needed any explanation as to why the British pound will collapse in the future, all we need do is look at this dynamic-duo May-Corbyn for the answer. If you need any explanation as to why the dollar continues to be the currency to which everyone is fleeing, you have it in spades. 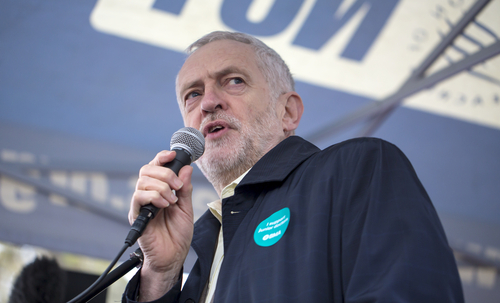 Putting the fate of Britain into the hand of Corbyn is like putting Alexandria Ocasio-Cortez (AOC) in the office of President.